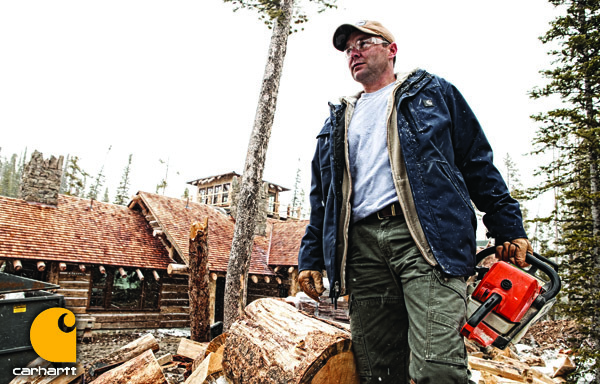 Carhartt jackets are made from rugged, dependable materials that can withstand the harshest working conditions. If you’re looking for tough, reliable clothing for your construction, industrial, or outdoor work environment, look no further than Carhartt products, available online and in-store from Contractor’s Clothing Co., the work clothing experts. Carhartt jackets are made from the toughest materials—denim, 100% cotton, canvas, polyester/nylon mix, and more. We carry a number of different styles, colors, and fits for every situation and environment. Hooded jackets, insulated jackets, camouflage jackets, and waterproof jackets just to name a few. Contractor’s Clothing is the country’s top retailer for Carhartt outerwear. We carry Carhartt jackets and coats a variety of styles, sizes, and colors to fit your needs. Your convenience is our priority, so you can order online and have your purchase shipped anywhere in the US, or shop in-person at our Madison Heights or Grand Rapids, MI locations. If you have any questions regarding special orders of Carhartt clothing, let us know and we will do our best to fulfill your needs. We have a knowledgeable staff available to help guide you to the right products for your needs. Be sure to browse our selection online at Contractor’s Clothing! Also check out the selection of quality construction-grade equipment from our sister company National Ladder’s site at www.nationalladder.com.